Senior nursing students at Kent State University at Geauga have been working diligently these last few years preparing for a career in professional nursing. When they started their education, they were told to expect long hours of study and great fulfillment in their chosen career. They are approaching their last semester, and the search for employment has begun! Students will attest to the rigors of their studies having had experience in clinical settings and with helping people with their health care needs. Recruitment for the perfect job is a two way street; employers and employees look at each other to find the right employment fit. Kent Geauga has welcomed representatives from Lake Health and UH Geauga Medical Center to meet the students who will soon graduate. The students have also had opportunities to hear from career nurses who illuminated the real job of a nurse. 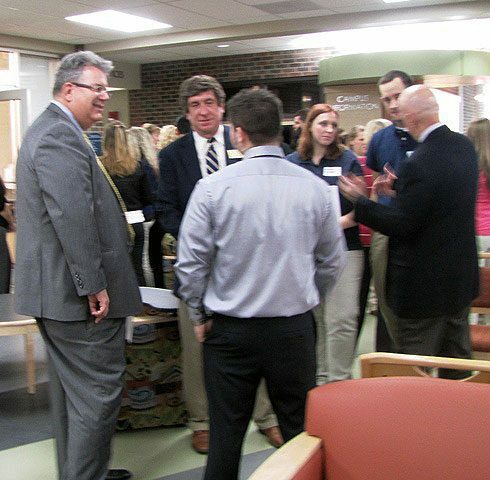 On Wednesday, April 11, administrators at UH Geauga Medical Center and Kent Geauga met with senior nursing students. The intention of the meeting was to discuss the transition from school to the work environment. Administrators provided important information to the students on how to plan their job search and how to ask the right questions in order to find the most suitable employment. It was a wonderful opportunity for students to ask questions and do some networking with both college and hospital administrators. On Wednesday, April 3, Cathy Araps, Nurse Recruiter from Lake Health System, presented an informative program on interviewing for a position in the field of nursing. She provided tips on writing a resume, how to prepare for an interview, how to answer interview questions, how to ask questions at an interview, how to dress and deport oneself at an interview, and how to determine if the job and the person are a good fit. Students listened attentively and had their questions answered. Ms. Araps comprehensive presentation has helped set the stage for these soon-to-graduate senior nursing students. An experienced nurse and author, Mary Reynolds Powell, brought nursing to life on March 28 when she presented her memoirs to students, staff, faculty, and administrators at Kent State University at Geauga in the William and Margaret Clark Commons. She held the audience in rapt attention as she described her living conditions as a nurse in Vietnam, the condition of the soldiers she tended, the political mood in that era, and how nursing and women’s roles have evolved. Ms. Powell’s book is titled “A World of Hurt: Between Innocence and Arrogance in Vietnam”. In the book, she recalls her time in Vietnam and she describes the year in the lives of several other people during the same time period. The students enjoyed speaking with the author afterward and were able to better understand how life events affect people in many ways, often finding themselves changed forever. 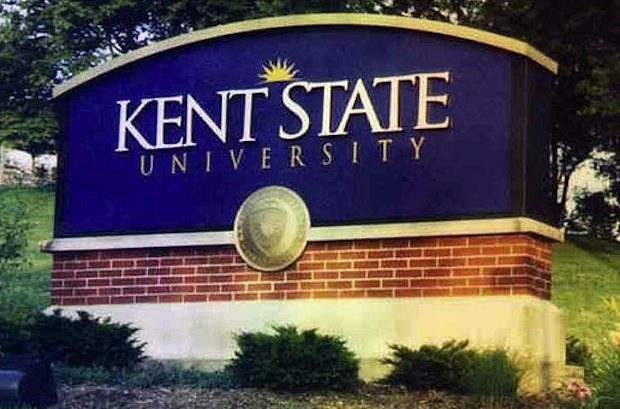 The Kent State University at Geauga Bachelor of Science in Nursing (BSN) class will graduate in August from the accelerated three year program. Following graduation, they will sit for the state nursing exam to qualify as registered nurses. For information about the BSN degree at Kent State at Geauga, contact Kay Gurtz at 440.834.4187.